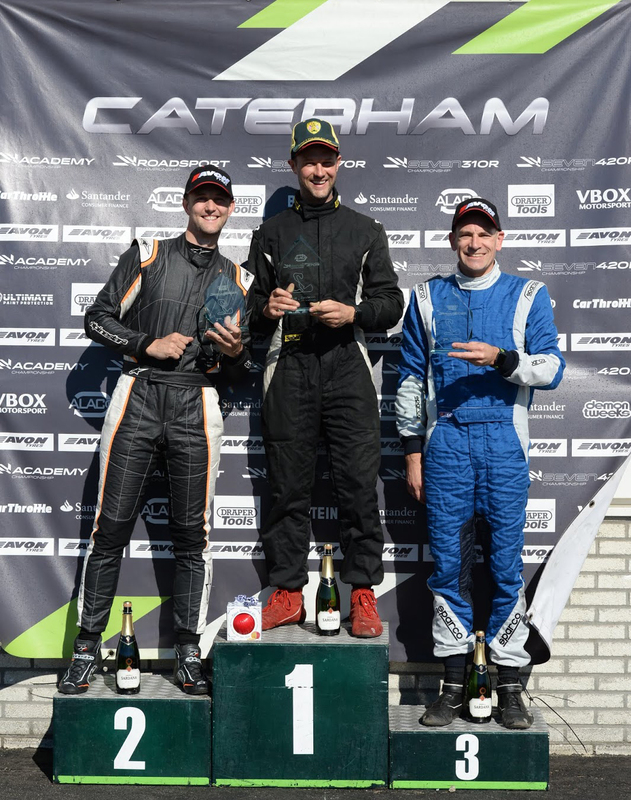 Just about to head off to Castle Combe for this weekends' round of the 2018 Caterham Roadsport Championship, and just realised I've not updated my post to include the previous round at Zandvoort! 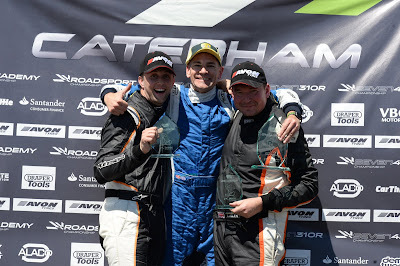 I went on to win the race, with James Murphy in p2 (after Daniel Halstead who actually crossed the line in 2nd place was given a time penalty for abusing track limits). I started on Pole (having won Saturday's race), and then there was a fair battle in the middle of the race... I had a bit of contact with Tom Allen, which bent my rear anti roll bar, but I managed to drive around the problem and finish third. 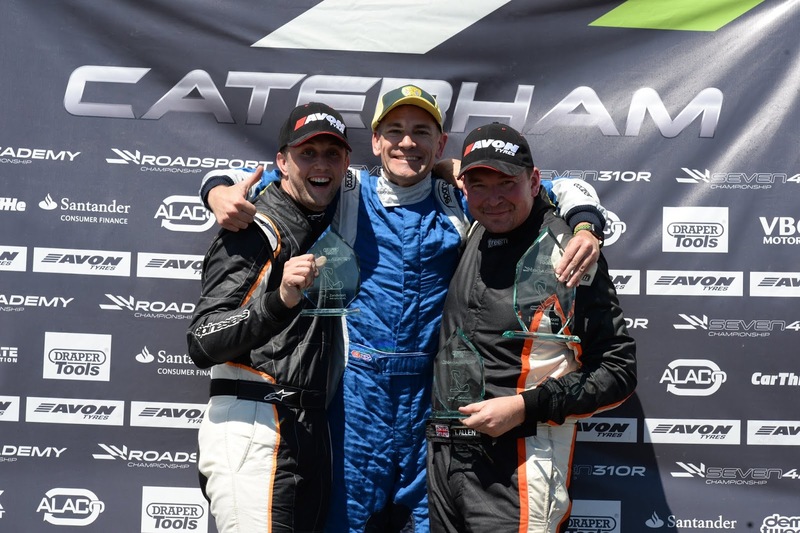 l-r James Murphy p2, Daniel Halstead p1, and me P3. It was an utterly superb weekend, and truly one for the memory books. The championship has become a little closer now, and it's all to play for, so let's see how things pan out at Castle Combe this weekend.